I have a cute frog craft for y’all today. I love painting clay pots and turning them into unexpected items. This frog would be great for your porch or use him indoors as a candy dish. Either way, you are sure to love this quick and easy craft for your home! 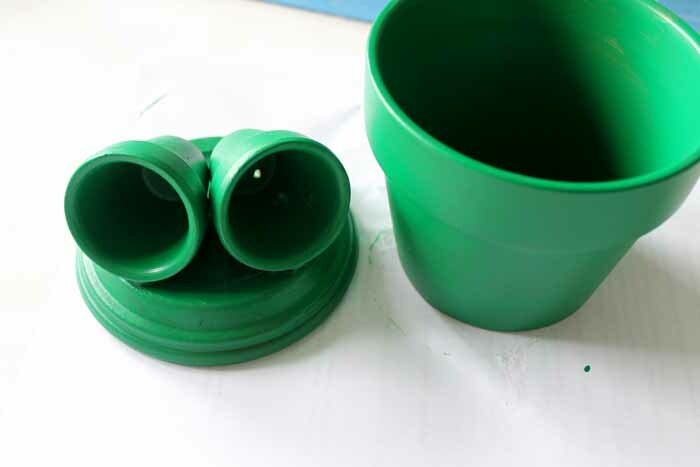 Start by using your adhesive to glue the mini pots to the bottom of the saucer as shown below. Allow to cure according to the package directions. Then paint everything green. 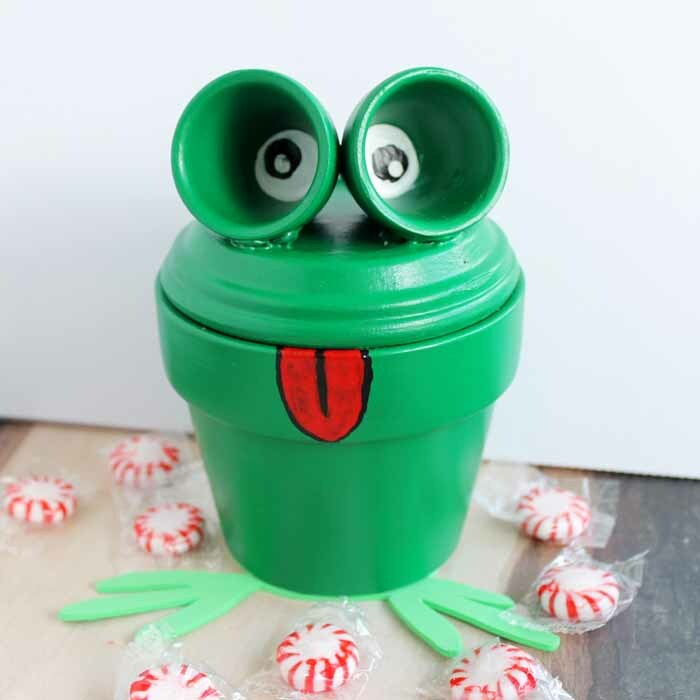 I painted both the inside and outside because I was using this frog craft as a candy dish. This will take several coats. Keep applying according to the package directions until you get the look desired. 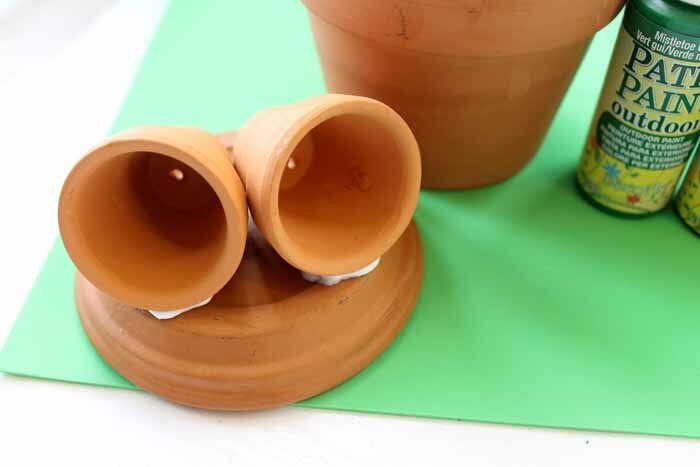 Add eyes to the back of the mini clay pots with white and black Patio Paint. 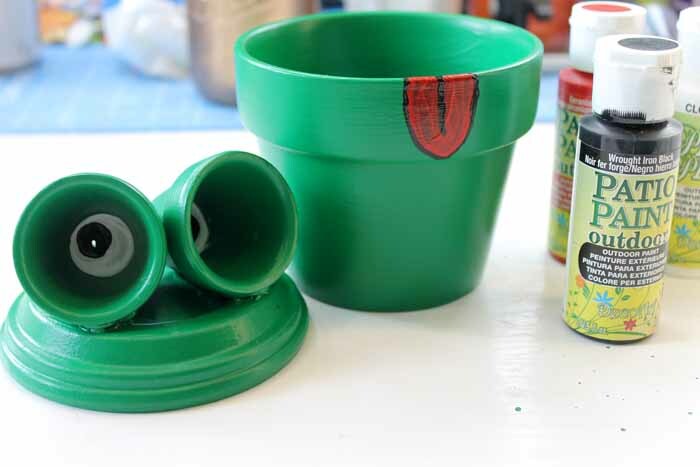 Also add a tongue to the front of the large clay pot with red and black Patio Paint. Allow everything to dry completely. Use scissors to cut “feet” from the green foam sheet. I traced around my clay pot so that the feet would sit under the entire thing as shown below. Use adhesive to secure your feet to the bottom of the pot and allow to dry. Your frog craft is now ready for use! I added candy to my version but you can use yours wherever you desire. Clay pots are so inexpensive and versatile. They may possible be the perfect crafting tool! 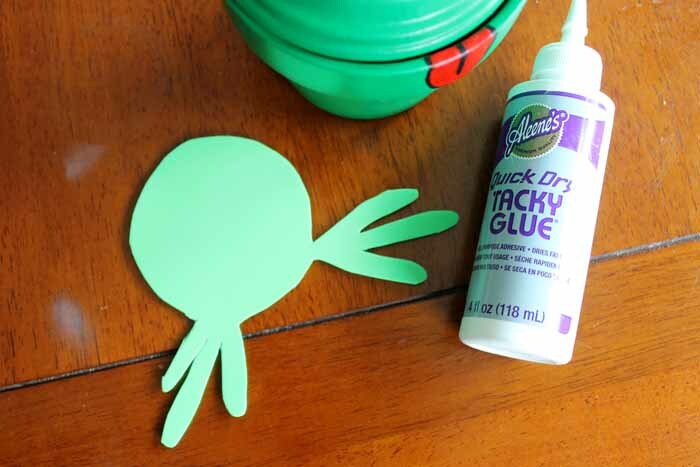 Try this frog craft for your home this summer. 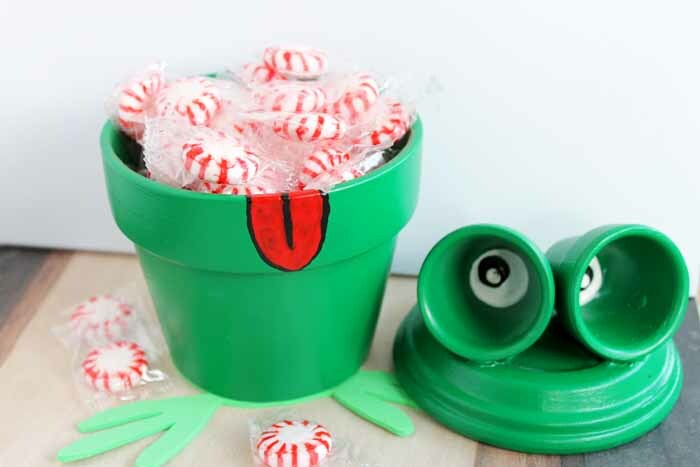 Add him to your garden as decor or your kitchen counter to hold candy. 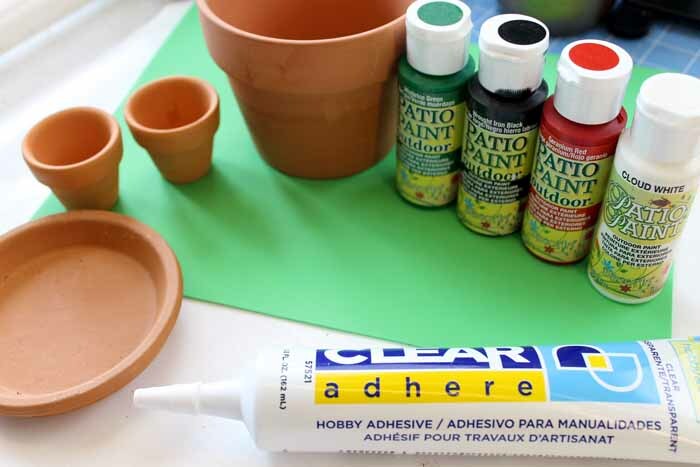 Either way, you are sure to love this quick and easy way of painting clay pots! 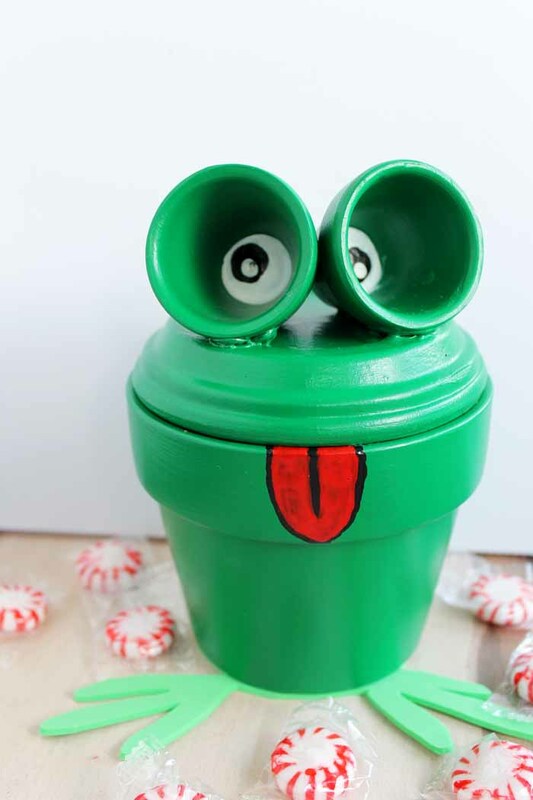 Love this frog craft and want more ideas? Try the links below! It’s so cute! Pinned and shared. Ha! You’re a Genius! That frog is so cute and creative! I want one!